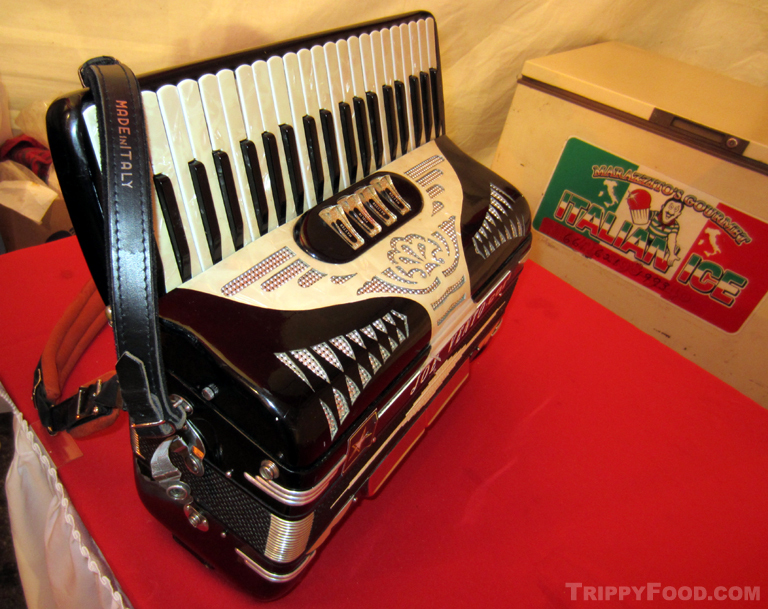 Growing up in the Boston area meant looking forward to the cultural food-centric block parties in the Catholic parishes of the Italian neighborhoods held for the saints' feast days: Rocco, Anthony, Gennaro, et al. Although one could put themselves into a vertigo-induced bout of nausea on the rickety carnival rides, the main event was always about the food - handmade pastas, thick fountains of tomato sauce and a myriad of pastries that define the term "la dolce vita". 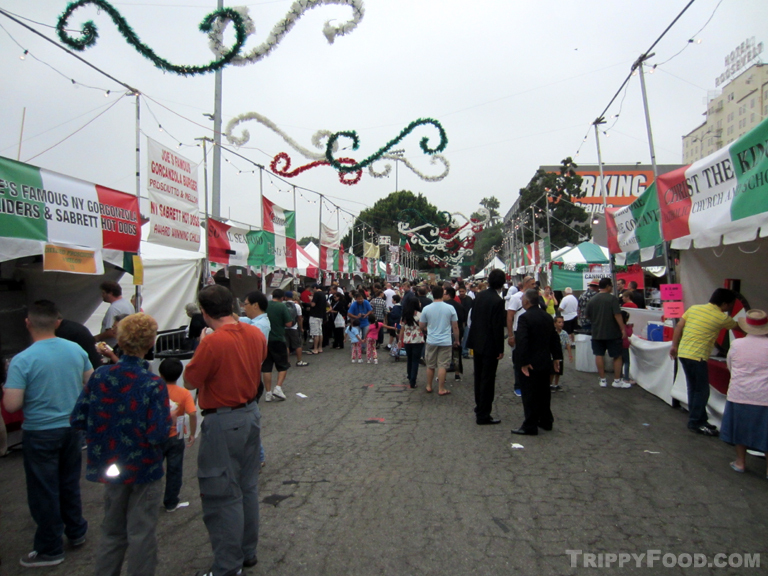 For the past ten years, Angelenos have been able to celebrate like a paisano, where on the streets of Hollywood everyone is Italian for a day. Event founder and television personality Jimmy Kimmel must have figured that if he couldn't get to New York for the festival celebration of Naples' patron saint Gennaro (Januarius), he could recreate it in the back yard of the studio where Jimmy Kimmel Live! is filmed in Hollywood. While it's true that the event embraces the cuisine of Italy and Italian Americans, Kimmel and the event's other founders and organizers also remain true to the benevolent spirit of the festival - the money raised from the event's gala opening night (Prima Notte) and the admission to the event is used to fund a wide variety of charities through the San Gennaro Foundation. Galbani (formerly Precious Cheese) has generously sponsored the event since the beginning, so it should come as no surprise that the cheese flows like chianti. Jonesing for some mozzarella? Simply look for the tallest character at the feast - the 9-foot tall Precious Cheese Man, a silent walking stick of mozzarella who will happily satisfy your fix with a stick or two of cheese. 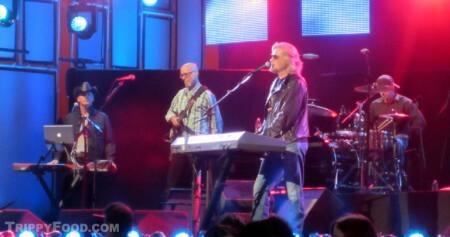 Daryl Hall on the Main Stage as part of Jimmy Kimmel Live! The festival's opening night (Prima Notte) is a ticketed affair with entertainment and presentations by the organizers, Italian dignitaries, entertainment industry folks and local clergy. During the festivities, the feast's food vendors provide mass quantities of the dishes available for the run of the event. At this year's Prima Notte, Daryl Hall opened the event with a set on the Main Stage as in conjunction with an appearance on Jimmy Kimmel Live!, followed by a dramatic rendition of The Star Spangled Banner by Mark Giovi. During the course of the evening it was easy to forget you were in the United States; in fact, the entire crowd rose to their feet and erupted in tumultuous applause after Christopher Macchio delivered an operatic performance of the Italian national anthem. The booths on the main thoroughfare were closed, with the vendors providing food from tables under a tent identified only by the dishes they were serving. Food is eaten communal style, with tables scattered throughout the stage area; although it seems like a cliché, whether you stand at one of the tables in the bar area or seated at one of the larger tables with folks from all walks of life, everyone is Italian, everyone family. 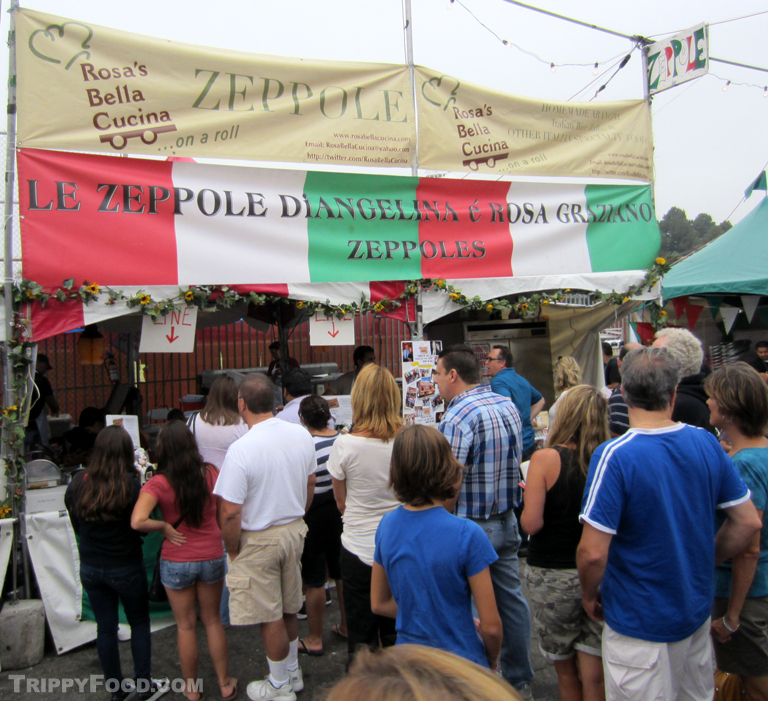 One of the culinary highlights that generate the longest lines is Rosa Graziano's legendary zeppole. 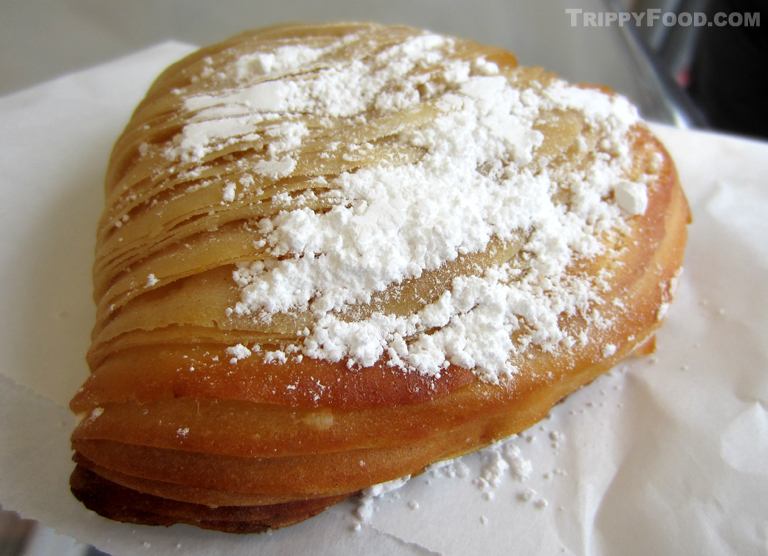 Graziano, who helms the Rosa's Bella Cucina truck, distributes the fried balls of dough with a big smile, and a warm greeting and a liberal sprinkling of powdered sugar. It's impossible to disagree when she tells you that you want one - she's like your Italian sister/mother/aunt waiting for the unmistakable grin when you bite into the warm, fried confection. Frankie's restaurant also commands an impressive presence at the event; in addition to beef and veal meatballs the size of your head and a not-as-hot-as-you-would expect sausage sandwich complete with sautéed peppers and onions, they shuck a Mount Etna-sized pile of long neck clams on ice. Their staff knows their way around a shucking knife - a couple of quick taps on the shell is enough to let them know if the hard-shelled clam is worthy to be served raw or gets tossed. The clams have an odd reddish orange hue and the thick meat is sweet and firm in texture; although cocktail sauce and lemons are plentiful, the mollusks bathed in their cool, copious brine are best enjoyed au natural. Pizza is plentiful; it's somewhat odd to see huge pizza ovens set up outdoors. 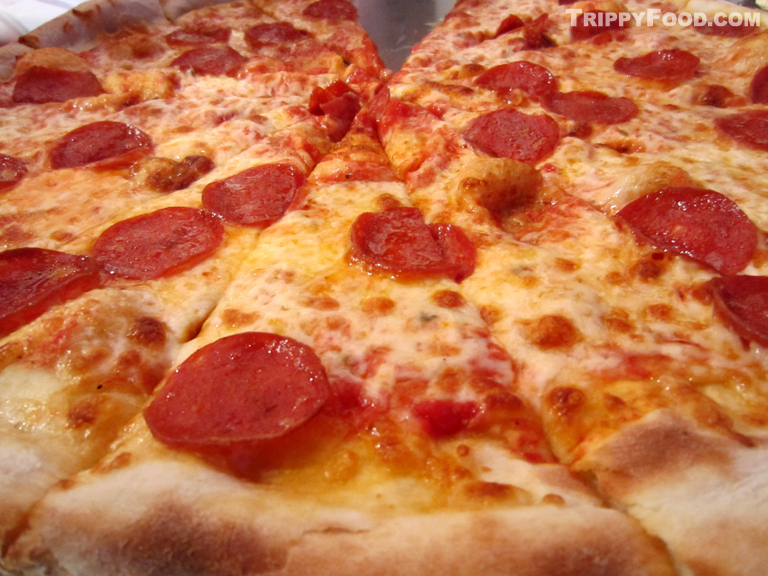 At any given time you can watch Vito's Pizza and Rocco's Tavern whipping up pies on the fly, each slice as good as you'd expect on the streets of Brooklyn: not too flaccid, not too crispy and generously topped with a variety of meats and vegetables. Pasta is well represented at the event as well with offerings of ravioli, pasta e fagioli and even a creamy macaroni and cheese made with rigatoni and bacon. This entry was posted in Trippy Happenings (Events) and tagged accordion, Adam Carolla, anise, Austyn Gabig, biscotti, CA, Calabria, California, cannoli, cheese, Christopher Macchio, cupcakes, Daryl Hall, dough, Feast of San Gennaro, Hollywood, Italian, Italy, Januarius, Jimmy Kimmel, long neck clams, Mark Giovi, Mass, meatball, Miss San Gennaro, Monsignor Cacciapuoti, mozzarella, My Sweet Mini, Naples, pasta, pasta e fagioli, patron saint, pizza, Precious Cheese, Prima Notte, ravioli, ricotta, Rocco's Tavern, Rosa Graziano, Rosa's Bella Cucina, Sarah Ketelhut, sausage, sfogliatelle, truck, Vito's Pizza, zeppole. Bookmark the permalink.